We offer the Covington line of rotary tumblers. 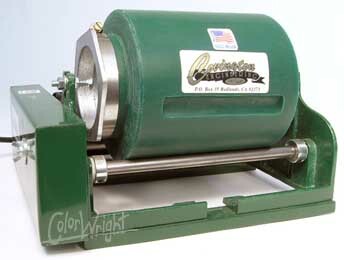 The Covington Deluxe Tumbler works well for deburring castings and other small metal parts, as well as rocks. The inside of the barrel is set up to keep the material moving through a special 3-way action and produces quick results. 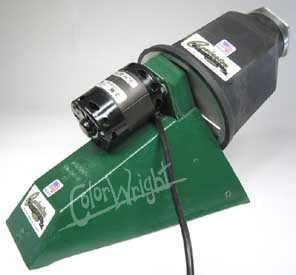 The barrel has a one gallon capacity and can handle 12 pounds of material. The Covington 40 Lb. Production Tumbler will handle big jobs, but is quiet for large capacity tumbler. If you need a tumbler for larger size rocks, this is the machine for you. The Covington Roll-N-Tumble Gem Tumblers are available in several configurations to fit the needs of most users. Compared to other brands, these tumblers are quiet. If you need a tumbler for larger size rocks, this is the machine for you.